First, on the very near scale, this miracle year in space just keeps delivering, with amazing results from Mercury, Venus, Earth-climate sensing satellites, Mars, a Mars-grazing comet, landing on another comet, visiting Ceres, and more news from Saturn and Titan! Plus we've announced plans for a Europa mission, deployed a solar sail, arrived at Pluto(!) and confirmed hundreds of additional extrasolar planets. It's been the best year for exploratory space missions since 1972... Teach this to your kids and neighbors! It's a civilization that - if flawed - is reason for great pride. On the other hand, let's not get carried away. We're just getting started and the universe is pretty darn big. 1) Magnifying the Universe: I've always been a big fan of "powers of ten" style zoom-in and zoom-out graphics and films that bring home the incredible ranges of scale that we must deal with, in our puny, brittle minds. Now see this supercool slide-able graphic that really brings it home. 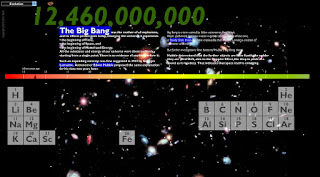 Dizzyingly fun: this interactive version of the universe (from Number Sleuth) takes you in scale from a hydrogen atom to a cell to a human to a star -- then on to our galaxy, local superclusters and beyond. Explore! 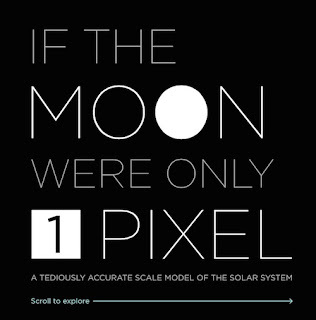 3) If the Moon Were Only One Pixel: This is fun! A ginormously accurate scale model of our solar system (from Josh Worth) lets you scroll from the sun to Earth... and all the way out to Pluto (if you have the extraordinary patience to go that far). Read the comments along the way (Most of space is just space... and passing through the Asteroid Belt you will never actually see a single asteroid.) This truly lends some perspective on the vastness and emptiness of just our solar system... and perhaps our insignificance in the grand scale of things. 4) The Scale of Our Solar System: This infographic (from Space.com) lets you scroll out from the sun to the outer reaches of the solar system, past the Kuiper Belt to the Oort Cloud, marking off the astronomical units in terms of the distance travelled by light from the sun, from 1 to 14 hours. It also shows the relative distances traveled by the New Horizons, Voyager 1 and Voyager 2 probes. 5) The Known Universe: This gorgeous six minute film (from the American Museum of Natural History) zooms you from the Himalayan mountains, to the orb of planet Earth -- through the outer reaches of our solar system to the spiral of the Milky Way galaxy to distant quasars in the depths of space... then reverses course to plunge back toward home. Noteworthy. If you visit and use ALL of these sites, some of these scale notions might sink in better than with just one. Check in and let us know the psychological effects! 6) How Big is Space? This interactive site from the BBC allows you to pilot your rocket ship up through the layers of the atmosphere through the planets, then out to the edge of the solar system, passing the New Horizons and Voyager probes along the way. 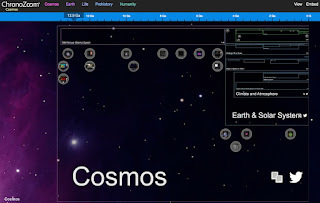 7) The Interactive Universe: this site from the History Channel is less extensive than the others listed here, but it provides information as you click to zoom in on the sun, planets, asteroids, comets, nebulae, then on to the Andromeda Galaxy or black holes. 8) 100,000 Stars: an interactive 3D visualization (created for Google Chrome) of our stellar neighborhood, showing the location and identity of over 100,000 nearby stars. Zoom in to explore. 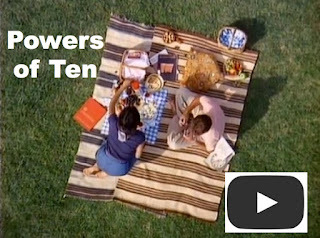 9) The original Powers of Ten clip: This 1977 film by Charles and Ray Eames begins at a lakeside picnic near Chicago. Starting at a scale of one meter, the film moves outward by a factor of ten every ten seconds, zooming out to Lake Michigan to the globe of the Earth, then on to the solar system, the galaxy, then out the Virgo Cluster of Galaxies... before diving back to our earthbound picnickers and closing in explore inside a single carbon atom. 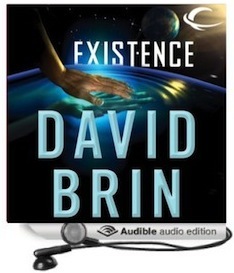 Narrated by the great Phil Morrison, of SETI fame. 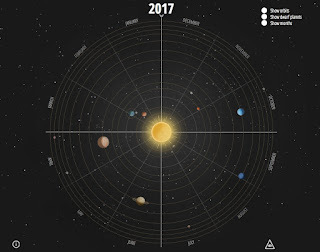 10) Solar System Orrery: This lovely interactive animation (by Jeroen Gommers) allows you to envision where the planets in our solar system will be, relative to each other at any given date. It also tracks smaller bodies such as the dwarf planets Pluto, Ceres, and Eris. It's fascinating to let the animation run and watch the planets orbit the sun at different speeds. For a simpler view of their current relative locations, see The Planets Today. 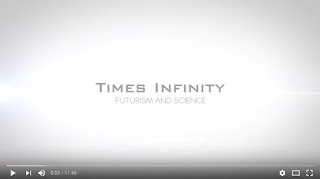 11) Times Infinity offers an updated look at the size comparisons of the universe, starting with the Planck scale and quantum foam, up to neutrinos, quarks and atoms.... and onward to stars, nebulae, galaxies and superclusters, ending with the Great Wall, the largest structure observed in the universe. Accompanied by gorgeous images and music. 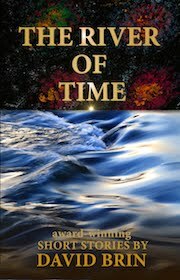 12) Chronozoom: This visual timeline of the universe expands from the Big Bang to the birth of the Milky Way Galaxy to the formation of our planet, then on through Earth's geological eras... to the prehistory of Earth, the evolution of life and the history of humanity. This open source project (designed at Microsoft Research and UC Berkeley, and developed at Moscow State University) also has links to a wealth of teaching resources for the classroom. 13) Here is Today: By progressively clicking, this site (from Luke Twyman) takes you from "Here is Today" to the month, year, century, millennium, epoch, compressing the timeline to reach the geologic period, era, then eon of Earth’s history ... and then expands to show the lifespan of the universe. 14) Evolution: What’s Next? 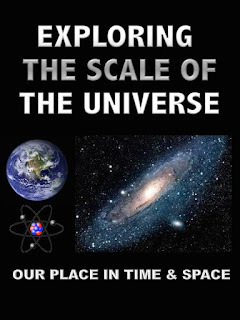 This site (from John Kyrk and Uzay Sezen)) offers a slider to move through time: it shows the formation of various elements after the Big Bang, then moves through the accretion of the sun and planets... and on to the formation of the earth's atmosphere and evolution of life. 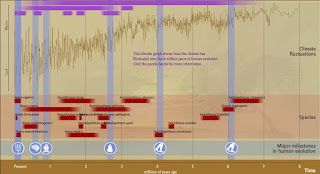 15) Human Evolution Timeline: this interactive (from the Smithsonian Institution) traverses the milestones in the evolution of humans -- through australopithecus, paranthropus, to homo erectus, charting climate fluctuations along the way. 16) Timeline of Space Exploration: Where have we been and where are we going in space? See this awesome visual chart showing the exploration of our solar system -- showing space probes from Pioneer to Mariner, Cassini to Galileo, and Juno to New Horizons. A work in progress, created by Olaf Frohn. What missions are currently out there, exploring space? 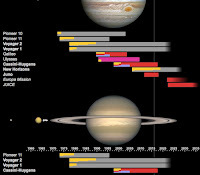 See this timeline from Emily Lakdawalla, charting active space missions from 2003 to 2018. 17) Historic Spacecraft: a comprehensive exploration of space history, with photos, drawings, updates and background information (accumulated by Richard Kruse) -- covering space probes, rockets, rovers, launch pads, space suits...plus timelines, size comparisons, cut-away views, history, quotes and more. Truly a wealth of information! 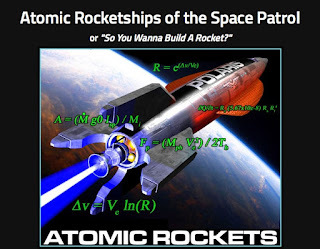 18) Atomic Rockets: "So You Wanna Build a Rocket?" is an incredibly detailed website devoted to rocket and spaceship design. The site (from Winchell Chung) offers equations, designs, illustrations, even parts lists, behind rocket drives, space stations, spaceships, spacesuits, weapons and so much more. 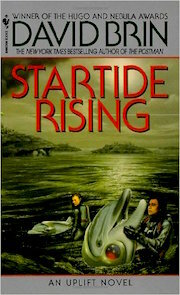 It has entries on Space Law, world building -- and more far-out speculation on aliens and space colonization. 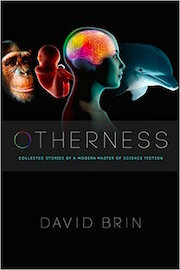 A wonderful resource for authors seeking scientific accuracy -- and an aid to getting the science right in science fiction films or stories. 19) Size comparison of Science fictional spaceships by Dirk Loechel -- an epic-scale illustration that shows side-by-side images of spacecraft from Star Trek to Star Wars, Dr. Who to Stargate and Starship Troopers. Really fun to explore. Though... ahem... you guys are missing some (* cough Streaker! *) starship classics that were included in a similar display at Seattle's (alas now defunct) Science Fiction Museum. 20) A 360 degree view of the flight deck of the Discovery space shuttle: A dizzyingly detailed virtual tour of Discovery's deck during its last mission STS-133. Discovery is now at the Smithsonian Air and Space Museum in DC. 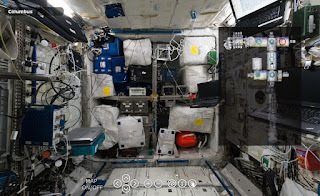 21) An Interactive Panoramic Tour of the International Space Station: Explore the modules of the ISS as you navigate through the station. Watch full screen to get the full effect; zoom in to see more detail. Click "Play" to hear ESA astronaut Samantha Cristoforetti demonstrate or explain the operation of various parts of the station. Almost like being there! 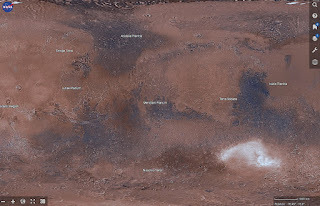 22) Mars Trek: Fly over the surface of Mars! Explore the planet in 3D with this NASA site: Click and zoom, pan in and out to view the detailed surface geology of the red planet. Almost like being there! You can also access and visualize scientific data sets by overlaying information from probes such as the Mars Rovers - Spirit, Opportunity, Sojourner, and Curiosity. 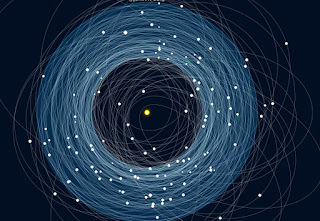 23) Goldilocks.info visualizes all known exoplanets (nearly 2000) and their host stars. You can explore their similarity to earth -- whether the planets are in the habitable (so-called 'Goldilocks zone') of their host star, along with their surface temperature, mass, atmosphere and other data (designed by Jan Willem Tulp and the ESA). 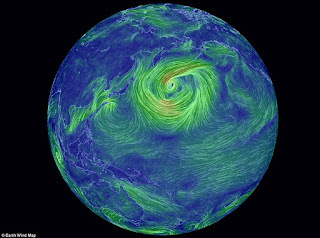 24) Earth Wind Map shows up-to-date air and ocean currents across the globe -- showing stunning atmospheric circulation patterns. Another site for visualizing wind forecasts is Windyty. Or see the wind map of the U.S. -- with surface wind data and circulation patterns, updated hourly. See also this collection of beautiful weather maps -- providing essential data on our planet. 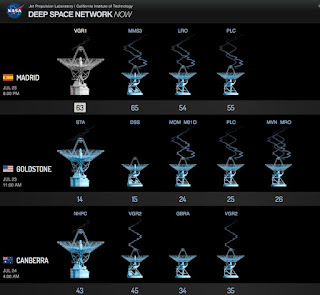 25) Deep Space Network: Our Eyes in the Sky: Which spacecraft are phoning home right now? Check out NASA's Deep Space Network (DSN) -- an international array of radio antennae that communicate with interplanetary space missions. These include antennae in California (Goldstone), Madrid and Canberra. View which antennae are actively receiving signals, which spacecraft are currently talking to earth. 26) Satellite Flybys: Do you want to look up and see the Hubble Space Telescope? Enter your location, and this site (from SpaceWeather.com) shows which satellites are currently overhead. It tells when the satellite is over the horizon, the direction to look, and the magnitude. Similarly, Heavens Above charts the visibility of the International Space Station. 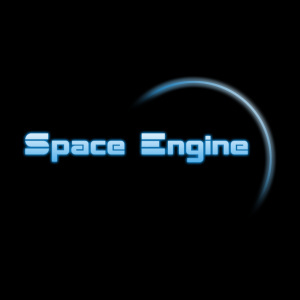 27) Space Engine is a free space simulation program that enables you to explore the universe, pilot a starship -- and land on any planet, moon or asteroid. Or try Explore Mars Now, which allows you to explore a simulated Mars base, and walk through the habitats, laboratories, rovers and greenhouses necessary for a manned mission to Mars. 28) See this: A true scale model of the solar system, created on a dry lake bed in Nevada, covering 7 miles of empty space -- by Wylie Overstreet and Alex Goresh. An attempt to give you perspective on the distances between planets. Here's their video on Vimeo. 29) And finally... XKCD's take on illustrating scale: the observable universe from top to bottom, showing height above earth's surface on a logarithmic scale. 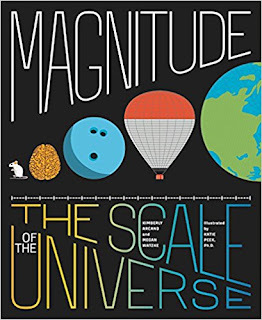 To explore further, see Magnitude: the Scale of the Universe, by Megan Watzke and Kimberly Arcand - which offers a mind-blowing journey across the cosmos, spanning immense scales of distance, time, temperature, mass, speed, density, rotation, and so much more. With vivid illustrations and infographics help visualize... to infinity and beyond! you might like the little sci fi film Advantageous. It streams on Netflix, if you have that. Saw it. Kinda slow. Sweet elements. Manipulate via mouse, etc., zoom etc. Hey, the web site Atomic Rocket above mentions some work I did in the *Orbiter* orbital mechanics simulator! I made a 3-D model of the Rolling Stone and used Heinlein's descriptions of the launch (along with realistic numbers for an atomic rocket) to find the date and time of launch, and to confirm it could be done with a realistic profile and chance of success. (His description of the launch window was a little off, but it is indeed possible.) Plus I wrote a "sales brochure" for the rocket. That was fun. As usual, Tom Tomorrow is spot on. 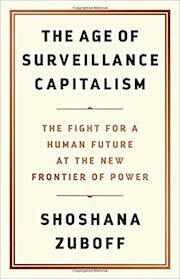 If privacy and freedom truly are zero-sum, then we are bound for revolution and it won't be pretty. On the other hand, it can be positive sum. But it requires that light flow in all directions. This is quite the treasure trove of cool materials for anyone teaching astronomy! Unfortunately my principal is cutting it out of the curriculum, for reasons that probably have as much to do with office poly-ticks as anything else. But there are some amazing graphics and readings in here. I especially like the original powers of ten video, juxtaposed against the latest iteration. BTW: is the E-less challenge still going? Alex seems more taciturn than usual (which is not to say he seems more Tacitus than usual, that would just be weird). Interesting article about "Solar Canals"
I forgot, is a heptameter seven meters or seven feet? Pluto is getting weirder. Smooth craterless plains. Regions cracked like drying mud on a giant scale. Atmosphere extends over 1000 miles from the surface. Visible wind-streaks on the surface, which may sites of current active cryo-venting. And it's losing it's atmosphere to space at 500 tonnes/hr. Forming a dense ion tail trailing away from the sun. I can't remember if it was by coincidence or planning, but 1 AU on my scale ended up being about 1 mile. So 5 miles to Jupiter's orbit, 39 miles to Pluto, etc... And the distance to Alpha Centauri was nearly the same as the real Earth-Moon distance. So if you stuck a pin head into the volleyball Earth to represent the solar system, the nearest star was another pinhead (two, actually) several metres away. So then I worked out the size of the rest of the Galaxy at that scale (slightly larger than the orbit of Neptune, the sun would orbit somewhere near Saturn, I can't remember how big the galactic bulge was). To me, this ratcheting of the scale always made the hugeness more "human", more graspable, than any of the powers-of-ten type illustrations. For example, it's the only thing that's ever given me an intuitive feel for how insanely large the interplanetary scale of the solar system is compared to the planets (and even the sun), how even more insane is the leap from interplanetary distances to interstellar distances, but then how small the leap to galactic and then intergalactic distances. Likewise, between intergalactic and universal. The first two are the big empty. After that, everything's actually pretty snug. Pluto flyover created from a couple of early pics. Oops. Better link for the Pluto flyover. Paul451, almost as if Pluto had been warm at one time. The late James P. Hogan would've had so much fun with this. Marry this and this. Low cost computing with silicon or gallium CPUs on wood supports and diagnostic tools as an application. It's worth noting that while Chronozoom is released with an open source license, the engine and initial content were created by Microsoft Research and a consortium of universities who deserve the credit for its creation. 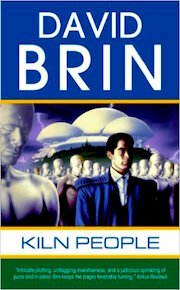 Fantastic list of resources, Dr Brin. Thank you. A;ex, that XylemDX system has the potential to wipe out much of the diagnostic testing lab industry, which I am sure will not go down without a fight, legal or otherwise. I'm not sure if it will make doctors irrelevant, but coupled with enough reliable (the most relevant term, here) health information available on line, and it could help break some of the medical stranglehold. I found an article on Science Daily about a neural implant that allows wireless control of neurons (in mouse brains, so far). The medical and research implications are obvious, but then, it doesn't take a whole lot of imagination to come up with more nefarious uses of such a system. @PSB - I've witnessed a lot of democratization of knowledge over my lifetime. It is now routine for patients to know more about their specific condition than their primary physician. 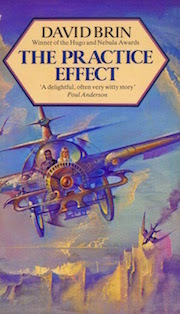 Once we had a wonderful little story about the future of medicine - C. M. Kornbluth's "The Little Black bag". It still assumed that only a medical professional would use the bag. Today, we are seeing medical information being encoded in software which is going to ultimately reside on your "phone". Attach sensors, including cheap diagnostics that can be bought for pennies in a grocery store and basic H/C will increasingly reside in the hands of the individual. Today women buy an OTC pregnancy test kit, a test that once was administered by a physician (with a rabbit). As you note we still need to go to centers to have our bloods drawn for tests, but increasingly those will be done OTC. I could easily see a test for microorganism susceptibility to antibiotics as a home test (or instant office test) with a recommended anti-biotic Rx. Genetic tests for a few genes were done just 20 years ago when planning a child. Today you can have millions of SNPs tested for $99 that will give you a wealth of information, and soon a full genome sequence for the same price. As costs come down, we will be able to test more frequently. Once we measured blood pressure a few times a year at a physicians office. Today I measure it daily at home. I could measure it almost continuously if I wanted. For some people, that will become a standard practice to warn of impending cardiac events, with software learning from the data and acting as a personal medical advisor. As DB flagged, the test to detect all viruses you have been exposed to eliminates the tedious and error-prone medical question "have you ever had....?". Soon it will cover bacteria. A after that, we'll have the data to catalog every strain of infectious organism you have ever had, the response to drugs taken and your current microbiome genomes. And after we have genetic data, we will have cheap tests to determine personal genomic responses yo a wide range of factors from foods to drugs, all managed by specialized medical software that will integrate that information with other sources to recommend lifestyle changes and treatments. I expect all this within 25 years or less. Certainly before Nasa ever puts an astronaut on Mars. @PSB - neural control of brains. 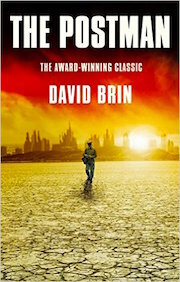 A modern, much more sophisticated version of Crichton's "The Terminal Man". One can imagine having future humans having their brains pre-coded with DNA for opto-electronic control for a variety of reasons, not just medical. Easy to imagine a dystopia based that mind control capability, as well as potential capabilities we can only dream about today. The same company is also working on a similar capillary blood test for Ebola, with processing outside of the lab setting. A Fortune magazine reporter was permitted to take the experimental finger-stick Ebola test. Theranos already does a number of basic blood chemistry tests in Walgreens drug stores, primarily in Arizona, without a physicians order (although Theranos is a Palo Alto, CA based company). Of course, many companies are poised to leapfrog the Theranos technology, although the others appear to be at least two years away from marketing approval. In just a very few years, though, medical diagnostics will be unrecognizable to most of today's physicians. Obviously the no /e/ challenge is over. That's okay, I like a challenge, but not when it curtails conversation. The technological advances of our times can be mind-blowing, but even as much as we talk about the rapid pace of change, it isn't really an overnight the world is new thing. We are still seeing changes on the order of years to decades. But then, compared to the glacial pace of change before society began to embrace the Scientific Method, these are amazing times to live in. How much of this great science was spawned by great fiction? When I read Alex's rundown of changes, the first thing that came to mind was that Baymax might be just around the corner. Unfortunately the next thought was the obese remnant of humanity in Wall-E. I probably watch too many kids' movies with my son...Still, everything has its pluses and minuses, be it clinging to the antiquated past or charging headlong into the future. Will medical devices allow for sinister mind control? Maybe. Does that mean we should stop all medical research? Some people think so, but my bet is with those who are advancing us toward the future, nit trying to hold us back. Reading stuff like this makes me wish I had the skill set to be part of the picture. No "E" wasn't a challenge... just a prediction! It came true when AlEx posted his name. Regards Tricorders, Futuristic Black Bags and all home Diagnostics. Don't be in such a hurry to put us old doctors out to pasture, no matter how yearningly some of us look over the fence to such verdant Edens. Case in point. Neisseria Meningidites. A bacteria capable of causing one of the true "dead by nightfall" infectious disease disasters. One of only three medical conditions that I still fear in the 9th inning of my career. A brutal, thug of an illness that strikes our youngest and best - college age is classic - and leaves them dead or with many physical impairments. With vaccines we have reduced the incidence but still, about 1000 tragic cases per year. So certainly an obvious target for DIY diagnostics. Well.....only 0.4/100,000 population in cases of actual disease per year these days. But the carrier state is quite common. How common? It is perhaps better not to know, as it is usually transient, causes no harm and may actually help provide some immune protection against invasive disease. Oh, you really must know? Maybe near 10% of the adult population but on a rotating basis. The interplay between bug and immune response is at least one order of magnitude more complex an issue than the old "bug-n-drug" thinking. So, lets find the 8 or 9% of current carriers. Then what? Bomb 'em with antibiotics? Accept the resultant allergic reactions, antibiotic associated diarrhea and slow drift upward in antibiotic resistance rates in various innocent and non innocent bystander bacteria? Nah, keep us around a while, you might actually want some advice. Not that it should be claimed as or accepted as infallible. Similar if less jarring connundrums exist for many other issues. Strep throat/colonization comes to my presently sleep deprived mind. Tacitus, advice noted. It would be a mistake to eliminate a vital specialization (or set of specializations, really) like this. In fact, it is those specialists who are most vital to creating the kinds of technologies that would help to make medicine and medical knowledge more generally available, not to mention the need for a constant supply of smart, medically trained people to deal with our constantly evolving pathogens. However, I have sat in an emergency room for 5+ hours when no doctor's office was open more than once. The emergency services side of the medical profession would probably be improved by not being clogged up with people who are not really in need of emergency services. Tacitus, I doubt we'll be tossing sawbones for a while! Re your specific example. If it is transitory, might we tell those who test positive to spend six months being a little extra careful? @Tacitus - I don't see physicians disappearing, but I do see them changing roles and experiencing different demand. For example, by the beginning of the 1990's, surgeons ruled the roost regarding cardiac treatments. A decade later, many retired as the cardiologists were able to do therapies that were safer and less invasive. It has ever been thus, surgeons being replaced by other physicians wielding better technology than knives and saws. We have been at war with cancer since the 1970's, and progress has occurred, although at almost glacial rates. Yet suddenly, immune therapies are looking to revolutionize cancer therapy, replacing almost medieval surgery and cell toxins. We've been living with bacterial resistance forever, and new antibiotics are few and far between. Yet it is unlikely that we will return to the pre-antibiotic era as some doomsayers predicted, because we now know how bacteria gain resistance and we can block those mechanisms, making antibiotics effective for much longer. All spinoffs from the genomics revolution. But just as technology and information has reduced the value of, and demand for, some specialists in the economy, I expect we are now rapidly arriving at a point where the medical profession is going to face similar pressures. It is going to be a case of adapt or retire. I suspect it will impact some medical specialties harshly, while benefiting others. Tacitus, wouldn't you prefer to apply your skills to the relatively few patients who really need them, allowing the rest to be treated by nurses or even self treat at home? 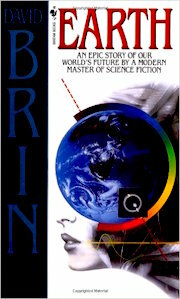 The Tricorder X-prize is definitely am ambitious leap. I think that it may be a step in the wrong direction - we no longer need specialty appliances, just apps running of standard hardware attached to the appropriate sensors. There is no reason whatsoever to need a special piece of kit to accept inputs and display them. A free smartphone app is not only more appropriate, but can store, analyze, disseminate and acquire data. The app can update functionality too. I see those paper/nano-cellulose based diagnostics as not just cheap, disposable diagnostic tools, but also as inevitable components of the "internet of things" that will store and integrate data into the computing infrastructure. Today's simple pregnancy test will not just show a visual readout, but in the future also connect via Bluetooth to your phone which will record the data and will add it to your medical record if allowed (This may be undesirable in "Red States" for obvious reasons). This is exactly what they'd have to do, if they were about to do the thing that's logical. That I've hinted they might do, if they were smart. You start by corralling those who'd raise a fit. As for medical sensor on "appliances... access to blood samples -- even small droplets -- is pretty specialized, still. Alex, successful prediction is not as important as successfully ALTERING future reality. Which my prediction did, by causing a change in your behavior. access to blood samples -- even small droplets -- is pretty specialized, still. I would disagree. Blood drops are obtained with a lancet. They used to be very simple - just a sharp needle. The technology has improved, but is still extremely cheap. These are used by diabetics every day. The blood sugar monitor itself could be replaced by an app with a connector to the blood sugar test strips. That really should be a "no-brainer" as it would increase the portability of blood sugar testing and maintain a visual record that could be matched to a diet sensor (being developed today). Almost all those blood samples drawn from your veins by a phlebotomist will go the way of the Dodo. Indeed most of those tests will be done at point of service, rather than the samples being collected and analyzed at another facility with several days between sample collection and result reporting. As Paul SB motes, that would be a huge disruption to a profitable busines model. Biological samples can be very small for most tests, the limitation is the test machine. Some methods might not even use extracted samples, e.g. breath analysis can detect certain diseases, even some cancers. I'm sure DB was given a genetic test for Tay Sachs at some point. That test could be done with the merest saliva swab and the wait time is the PCR cycling. That process will become almost instantaneous (Gattaca like) in the near future, although I suspect that genome testing will be done either at birth or even earlier as a matter of routine as the costs continue to plummet and the medical benefits become more apparent. 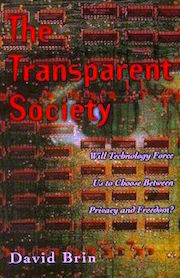 In "Shaping Things" (2005), Sterling predicted that we would monitor our microbiomes as part of our health. That is looking more prescient by the day as the technology to do so becomes ever faster and cheaper, and our knowledge of its role and importance becomes deeper. You are not likely to spend five plus hours waiting in MY emergency room. And if you do it better be because there is literally blood in the hallways. When it happens I always tell patients - I hand type all discharge instructions btw - "Thanks for being extra patient....some other folks would also thank you if they could". 11-7 shift so time to nap. So are we saying machines will replace doctors before they replace hotel maids and bicycle mechanics? Machines are not likely to replace doctors anytime during the next few decades. One very serious potential problem, though, is that machines are likely to replace lab technicians and many other occupations that require fairly high levels of education and skill long before they replace hotel maids and other unskilled labor. This may have the effect of discouraging people from getting a scientific education. If being a plumber is more highly paid and has more job security than a medical laboratory technician (and other scientific and technical jobs on that level), why would anyone get a scientific or technical education. This is already getting to be a serious problem in certain areas. What makes you think "Being a plumber" does not require much more training and "smarts" than being a lab technician? Tacitus (after nap), I have seen some differences in ER wait times in different places. California is famous for it, but even in Denver, when my daughter was 3 and had caught pneumonia, it was a couple hours of sit and wait while they checked insurance forms before even a nurse made an appearance. To convince the King you have magical powers and deserve to be the Royal Astrologer/Grand Vizier, etc. I'm sure there must be others. Many of these fall into the category of influencing behavior, and people have been doing them long before sci-fi was a genre (even if you are among those who count Plato's Republic as sci-fi). Duncan, I fully realize that plumbers require a lot of training and skill. That, however, has absolutely nothing to do with the fact that people are discouraged from studying science since many jobs that require training in science and technology pay less, and have far less job security, than being a plumber. The Melbourne suburbs of St. Kilda and Port Melbourne sport a 1:1,000,000,000 scale model of the Solar System. Starting with a meter wide sphere of the Sun near Luna Park, you can walk/ride along the foreshore past models of all the planets until you get to Pluto; a small pea some 6km away from where you started. The New Horizons team had good aim. 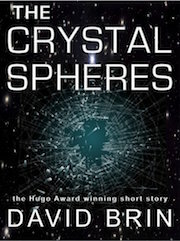 The truly intrepid can keep on going into the expanse of the Kuiper belt to Ballarat, and beyond the Oort cloud covering the rest of Australia, until you circle the Globe and return to St Kilda, where a model of Proxima Centauri is cheekily waiting 4.3 ly (about 40,000km, or a few meters modulo Earth circumferance) away from the Sun. Why would somebody wanting to be a plumber or electrician be "discouraged from studying science"? Tony there is such a display of the solar system along the sidewalk leading to the Washington DC Air and Space Museum. Many lab tech positions will be automated sooner than plumber and hotel maid, which require agile hand-eye coordination under wildly varying circumstances. But the more science-y lab positions will have MORE to do, supervising vast arrays of lab machines... for a while. 2) Who will have the political/economic power to control or throttle the cornucopia. 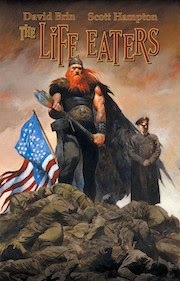 If a narrow elite of owner lords? Then by human nature they will throttle the flow of stuff, just to make the peasants appreciative and respectful. And there goes Star Trek. As Robert Heinlein said in Beyond this Horizon... Human creativity should always be competitive, but human needs should wind up being free. So much for him being Ayn Rand's type of libertarian. @PSB - predictions that prove false may be because agency acts against the prediction, or the prediction had no basis in reality. How can you distinguish the two? Cassandra's predictions were a special case because they were ignored and proved true. But the plethora of predictions that prove false can be false for a variety of reasons. I consider most of these useless. Predictions of the cautionary kind - "If this goes on..." can be useful, but again, if proven false, were they useful models at all? Some predictions can have false outcomes, but still be useful models. If we do manage to control AGW through concerted means, that will not falsify the model, although many people may claim it does. So while I appreciate that "predictions" can be used in a variety of settings for a variety of reasons, my predilection is for predictive models to correctly predict an outcome, preferably with an explanatory model underlying it that can be falsified. @Duncan Why would somebody wanting to be a plumber or electrician be "discouraged from studying science"? Unfortunately where I live in California even science students don't seem to have much of a grasp of science, either as knowledge or of process. In my lifetime I don't think I have ever met a manager in business who has ever demonstrated an understanding of the scientific method to make better decisions. US schooling is far lighter in science than UK schooling for those on a science track. I think it shows. OTOH, a humanities track student in the UK has even less science training. If we believe that a knowledge of scientific ideas is important, plus an understanding of how to apply the scientific method, then there really ought to be more emphasis on science education during the K through 12 years in the US. If so, I would make it more of an applied science teaching so that the concepts can readlily be seen to apply to the real world, whatever the setting. Alex, nothing to disagree with here, except that maybe Cassandra's case is not so rare. People make predictions constantly, so it should not be uncommon for completely random predictions to come true. Charlatans depend on it, in combination with confirmation bias. Alex, what you are saying about science education is just what the Common Core is trying to do. Unfortunately most teachers are a little lost on how to make the desired shift, quality instructional materials (as opposed to cobbled-together shams) and possibly the biggest problem is that the administrators are far more clueless than the teachers themselves, and they are the ones who are charged with judging and possibly firing the teachers. Alex: 1- Prediction is absolutely crucial in science. Your statement indicates a rather disturbing misunderstanding of science. Yes, prediction future societal or historic events is beyond scientific abilities. Moreover, methods that work in economics often cancel themselves out, once everyone gets to use them. But in PRINCIPLE prediction is the core test in science. 2- The US always scores in the top 1 or 2 or 3 in Adult Science Literacy, because ALL our college grads had to take at least three science survey classes, even if humanities majors or artists. That's skimpy! But better than those who go to Euro-Asian style universities, which are appallingly specialized. 3- Alas Paul SB the republicans are pushing hard to retract all accountability measures from their own No Child Left behind... for one simple reason. The accountability testing showed that Red States were failing far more than blue and getting worse. Does anyone know how most of the medical diagnostic tests work? The tech sounds intriguing, but I have next to no clue what it is actually doing. I'd love it if we could use some of these sorts things for research... For example: If there is a way to print a cheap test which detects the presence of specified DNA (and/or RNA) sequences with high specificity, then that would be pretty transformative for all sorts of population biology. PS: Not to belabor... In the previous thread I didn't mean to imply that there is no such thing as authoritarians (and the people who exploit them to gain power) on the left. There is a positive correlation with being an authoritarian (follower) and holding right-wing views. So it is just more *likely* that someone spouting right-wing rhetoric will be able to amass a bunch of authoritarian followers. Anyways, the correlation with religiosity is much more obvious and was the main point. Setting aside political ideology (that lantern isn't lit anyway), the situation with the troika (EU,ECB,IMF) and Greece should really bother anyone who is a fan of the Enlightenment. The "deal" the troika has insisted on is a striking example of ideology trumping reason! That report came out just after the 'deal', but was given in secret to the negotiators (which included representatives of the IMF) before negotiations. Yet they insisted on imposing a deal which not only doesn't help solve the problem, it makes it worse... And they knew it! Yeah, but only to a point which many folks might find surprising. Liquid handling robots are pretty great, but there are an awful lot of things they can't, some of which are intrinsically very difficult to automate. Being a good lab tech takes a lot of dexterity and skills built up from practice. This is especially true in research... Medical and forensics try hard to make protocols as full-specified and mechanical as possible (for consistency reasons), but aren't always successful in those efforts. Romans 11:33: "O the depth of the riches both of the wisdom and knowledge of God! how unsearchable are his judgments, and his ways past finding out!" Anything could happen at any time for no reason we can fathom. That is really reassuring. AI researcher Monica Anderson thinks fairly soon, we'll have AI, but not like the "reductionists" imagine, nor will it be a threat to humanity or be vastly more intelligent than us. If I can paraphrase her theories, intelligence is intuition, the ability to make predictions. She says that's actually fairly easy to program, just memory intensive. Her company Syntient is building something. It's somewhat related to all the Deep Learning neural networks in vogue these days. Her opinion is that reality itself is a limiting factor on prediction, so making an intelligent machine vastly more sapient that humans is impossible. They'll be optimized for their niches. On the threat level, she believes AI can be made read-only, will little long-term memory and a lot of working memory, so new intelligent machines will be controllable, while they learn to be good citizens. If not, we'll have their older, happier cousins to fight them with. Alas indeed! This shows just how unattainable their supposedly high standards really were (I've seen estimates that put the time needed to minimally "cover" all the K-12 standards at 26 years), how useless Repugnant Party predictions are, and how important it is to take education policy out of the hands of policy makers, who are mostly a bunch of lawyers who know precisely jack about education. Remember that NCLB was a bipartisan bill cosponsored by Ted Kennedy. Travc, your quote from Romans should make it pretty obvious that the intention is to make obedience automatic and unquestioning. The typical clerical response when bad things happen to good people has always been a hand-wringing, "Oh, it's God's will, and who are we lowly worms to question it? It's all part of His secret plan!" But few people ever think to ask, if we are too stupid to fathom God's will and God's glorious plan, then how can you, Mr. Constantine, or you, Mr. Copeland (fill in the blank with whatever king/emperor/preacher you care to name) know His plan and tell us what to do? It makes it pretty clear just how political religion has always been. As you probably know the way to do that today is with DNA or RNA microarrays. They aren't cheap, mainly due to supply control. In principle they could be dirt cheap. The time to extract the sample DNA and replicate it with the PCR method is a limiting factor. That can be automated (it has been). However the latest technique is to read sequences of DNA from a sample directly with a nanopore device. It isn't highly accurate today. However it is being actively developed and should be able to both detect and quantify DNA sequences rapidly. @PSB - I'm not familiar with the substance of the Common Core curriculum. However I do know that some topics in math is often far too abstract and contrived. Geometry and Trigonometry to name but 2. There are attempts to completely revamp the teaching of math to make it far more relevant. IMO, the problem is that it is mathematicians that write the textbooks and they think so very differently from most people. @TravC. The reason that econ doesn't go down well with the Troika is that they really don't care. What they do care about is the owners of capital and preventing losses. This isn't unique to the EU. Governments have abrogated their responsibilities to their citizens by prioritizing investors' interests. Unfortunately Germany is being very insistent on this, and this may lead to a lot of trouble for the EU idea down the road. 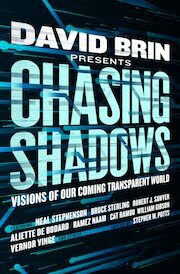 David are you going to be involved in the Breakthrough Message discussions, or has your resignation locked you out of this now? 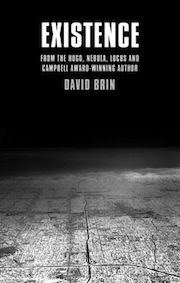 Travc, the author of Romans wasn’t right in the head _before falling off his horse on the way to Damascus. Re AI memory systems. I have one here that has spectacular amounts of Write Only Memory. It's a whole lot of reading, but anyone can see exactly what the teachers have been given, and I think that level of transparency in important. A few years ago I was volunteered for my district's implementation committee, and one thing became very clear to me from closely examining the specific standards I would have to teach. They are many times more flexible than NCLB, and they encourage examining science from more in terms of method and critical thinking than the rote memorization built into NCLB. However, they do almost nothing to address the overload issue. Maybe these standards will take less than 26 years to teach, but the way they are worded leave so much material the students are merely assumed to know that the apparent lack of specificity is somewhat illusory. The new standards aren't precisely what most science teachers had hoped for, but they are centuries ahead of NCLB. The problem you suggest about having math textbooks written by mathematicians applies in the science curriculum, too. When California adopted NCLB, they had university professors write the standards, and those professors seem to have simply thrown in everything they were tired of teaching in their introductory-level classes. You would think that someone, somewhere, would get that the most appropriate people to create teaching materials are likely to be people who actually do the teaching, and are very familiar with the thought processes of the age-group they teach. 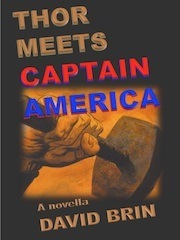 But that brings up another issue: that most people see children as students into which knowledge can simply be downloaded, and are clueless about what is developmentally appropriate for different age groups (to say nothing of the inconsistency with which different children develop - I have had students in 10th grade classes who look and act like 5th graders in the same room with hulking monstrosities you would not want to meet in a dark alley). @pSB You would think that someone, somewhere, would get that the most appropriate people to create teaching materials are likely to be people who actually do the teaching, and are very familiar with the thought processes of the age-group they teach. Excellent point. 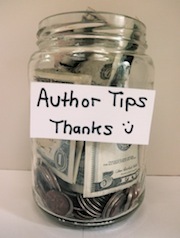 This is exacerbated by the continued requests from academic publishers for me to write a textbook. I have no capability to do that and would just replicate the problems of previous textbooks if I did so, just adding my biases (more evolutionary explanation in biology). OTOH, school boards also think they are competent to define what is in a textbook, as the infamous exclusion of evolution in some Red State biology books. We could do with a much better model, perhaps one more appropriate to the internet age - electronic, free, adapatible, etc, etc. Creating yet more austerity. *sigh*. @PSB - I used to participate in education discussion boards on LinkedIn. I just got depressed at how many people felt that privatized education was the way to go, that students must fully pay for their education, etc. I have gone to conferences and workshops about teaching biology (at university) in innovative ways, and there are some great ideas out there. But these meetings are usually sponsored by the big academic publishers so change in textbooks is going to be glacial, as well as the administrative inertia. I'm sure High School teaching is similar given my limited parental observations in the past. Alex, your experiences sound a lot like mine. I wouldn't mind seeing the demographics where you live. It might suggest some things. However, these last couple years I feel like I have had much better success getting adolescents to take an interest in science, not so much with astronomy but especially when I teach evolution. A couple of my fellow teachers feel like some of the old obstinacy is starting to drop away, though I have to admit I have put a lot of effort into that unit specifically (and starting it out with a dog video helps a lot). It's one of the biggest hurdles to overcome for most Americans in terms of seeing science as relevant to their lives. Dr. Brin, since we have gotten onto the subject of education, would now be an appropriate time to bring up teacher evaluation? Last time you mentioned it, a couple threads back, you said it would not be appropriate for that thread. @PSB Some demographic info on California's Central valley. Very different from Silicon Valley where I lived for 20+ years. Also rather different from England where I lived for the first half of my life. OT: but since I brought up evolution. I was watching Avatar again last night to look more closely at the depicted fauna. The various anatomies were somewhat all over the nap, with most forms 6 legged, while the Na'Vi and the "dragons" were 4 legged. All the large animals seemed to have the neural interface. All the animals except the Na'Vi had 4 eyes. The respiratory breathing holes of the "horses" and "dragons" also suggest a different ancestry from the Na'Vi who have noses as we do. What would Darwin make of this? My sense is that the designers didn't pay enough attention to evolution in their designs. If it wasn't for those neural interfaces, it would make sense to consider the Na'Vi as aliens transplanted there. 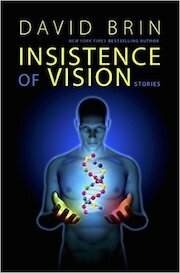 But that neural interface is a problem, unless it implies genetic engineering, probably of the Na'Vi ancestors. Paul I am fine with discussing teacher standards. Paramount is to ask teachers how do YOU propose we eliminate the crum teachers among you? If say we all agree that maybe 5% of teachers are horrors who should not be around children, would you please STOP blocking ANY methods for accelerating their removal, and instead try for a win win? "Creating yet more austerity. *sigh*." Bah! Try reading the second half of that sentence I wrote. A culture or lazy parasitism is not helpful in a civil service. Keep the same number of people employed! But ask the Europeans, Germans & banks to finance building bridge and such that the funders can then either own (charging tolls) or use as collateral... but while employing lots of Greeks and stimulating the economy. I guy building a bridge is a LOT more growth-productive than a bureaucrat who is stalling business startups in order to justify the extra and unnecessary form he has to make people fill out, in order to justify his parasitical paper-pusher job. The only part of Common Core that I've interacted with so far was the grade-school math. Now, the key factors to keep in mind here are: a) the child involved has been diagnosed with both autism and ADHD (and that last I'm utterly certain of, as would anyone be after spending a short time in his company); b) I did study basic math, at least as far as trigonometry and pre-calculus, in college; and c) I must be of at least average intelligence, as I am a (lapsed) member of Mensa. "1 guy building a bridge is a LOT more growth-productive than a bureaucrat who is stalling business startups in order to justify the extra and unnecessary form he has to make people fill out, in order to justify his parasitical paper-pusher job." But one guy who's spent the last twenty years pushing papers is probably going to be a lot less productive in the bridge-building arena than he was behind that desk. And almost infinitely less likely to produce something that may later collapse and kill people. It's kind of a trade-off, really. To clarify - almost infinitely less likely to produce something that will collapse and kill people, while he's behind the desk still. The evolution bit is why Star Trek bothered me - all these humanoids running around who could breed with earth people but came from somewhere else. How exactly is Spock related to Neanderthal man? I get that it was a budget problem, but that doesn't matter for believability. I guess there's some sort of retro-explanation shoehorned into the canon by now. "bureaucrat who is stalling business startups in order to justify the extra and unnecessary form he has to make people fill out, in order to justify his parasitical paper-pusher job"
Every regulation started from some perceived "Good Reason"
And now that I'm retired I have no idea how I managed to make the time to go to work! … and send the rest to this site… where we’re gonna build infrastructure together. Okaaay. So let me try to understand this. You want bureaucrats to become construction workers? Didn't Mao try something rather similar with the "Cultural revolution"? Or perhaps you just want them unemployed while employing other people to do construction? What Greece needs right now is massive debt forgiveness to get out from under crippling debt repayment and possibly an immediate infusion of cash to circulate and restart the economy. AFAICS, your statement is little more than the "structural unemployment" argument. That is not going to fix the huge slump in the Greek economy with its associated extremely high unemployment rates. @Jumper I guess there's some sort of retro-explanation shoehorned into the canon by now. There is. "Believing that the life span of a single species was finite, the ancient humanoids seeded the primordial environments of many planets with a DNA code that would direct the evolution of life on that planet towards a form similar to their own.". Bah, willful refusal to consider that there might be ways to cut slovenliness while investing in productive work that might stimulate growth. DId it occur to you that Greece is in trouble for REASONS? And maybe addressing those might reasonably be part of the solution? As for those links... double bah. Apples and oranges. "students" are always 17 year olds and our have ZERO MEMORIZED KNOWLEDGE because memorization is deemed cruel and inhuman by Americans. Those international tests never measure adaptability of thought. Moreover, ADULT SCIENCE LITERACY shows that much of this REVERSES by the time four years have passed. Forget it. I wrote about this before and haven't time now. Seen that happen too many times, even in the private sector. And just ask about the mounting levels of administrators in the UC system. I once had a student summer job in a hospital lab. Any equipment purchases had to go through a special committee. Apparently one year there was a tiny budget for new equipment, but the committee was paid anyway to adjudicate spending on equipment that was a tiny fraction of their salaries. DId it occur to you that Greece is in trouble for REASONS? And maybe addressing those might reasonably be part of the solution? Yes. And has it occurred to you that your ideology is showing? Oh boy, that's a terrible Star Trek shoehorned retrofit! Because it's impossible, mostly. "Oh boy, that's a terrible Star Trek shoehorned retrofit! Because it's impossible, mostly." But Star Trek runs on nonsense "explanations"! 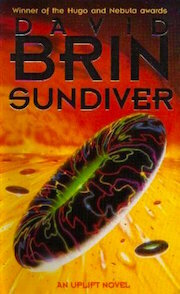 Even when they conflict with earlier canon (the Preservers, mentioned in the Original Series episode "The Paradise Syndrome", who ran around the galaxy moving populations of sapients so as to ensure a single planetary disaster wouldn't erase the species; Kirk wound up amnesiac and marrying into a group descended from kidnapped Delawares). And songs are easy. I could, on demand, either recite or sing (at least until cessation is demanded) the entirety of the Rush album 2112, not including printed interstitial material between movements of the "2112" suite itself which is on the liner notes. "Did it occur to you that Greece is in trouble for REASONS? And maybe addressing those might reasonably be part of the solution?" The normal term for this is "throwing the baby out with the dishwasher"
There's Jon Lomberg's Galaxy Garden project that helps viewers gain a sense of the size of our home galaxy by walking viewers through a garden that is a scale model of the Milky Way. Of a galaxy we call the Milky Way! Twelve million miles a minute, and that's the fastest speed there is! The situation in Greece isn't about economics anymore. It is about sovereignty. Once they called that referendum, they played a game Germany cannot afford to lose. No option was acceptable to the Germans for their own internal reasons, so they are effectively demanding Greece surrender some of its sovereignty in exchange for cash. Germany is primarily an exporter. Any EU nation that can pull out after running up debt threatens German national interests. Any EU nation that can force the terms of a debt agreement does the same from a different angle. That means the Greek people effectively backed the Germans into a corner with their vote results. This will not go well for Greece, but it is France who will notice this the most. Germany has to flex their muscle now and France can't match them. So much for the balance of power that is at the core of the EU. "The situation in Greece isn't about economics anymore. It is about sovereignty"
For memorizing poetry nothing beats music. A few performances of the Mozart and Verdi Requiem should enable even the memory challenged to memorize the Dies Irae. Black Lives Matter! So demand TECH! It’s ALIVE! And it’s in Outer Spaaaace!